2010 — 200 cm x 160 cm. Affiches des années 60 collées sur toile & acrylique. 2010 — 78,74 x 63 Inches. Posters from the 60s, acrylic on canvas. Xavier Veilhan claims as a sculptor of the surface. Jacques de la Villeglé took off the posters of the surface of the walls. Improbable encounter between these two artists through the figure of the monster. 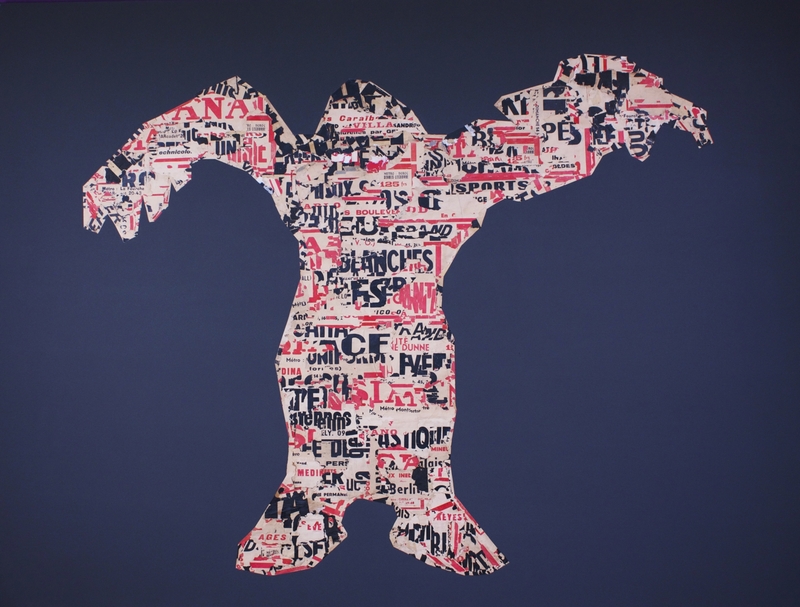 Pascal Lièvre draws Veilhan Monster then filled the Interior of the silhouette with pieces of posters of the 1960s collected din a Paris metro station. The title Fame monster is based on a planetary hit of Lady Gaga, inviting these fans to become monsters.